Today I'm going to share this very east tut on rooting your Cherry Mobile fusion bolt. 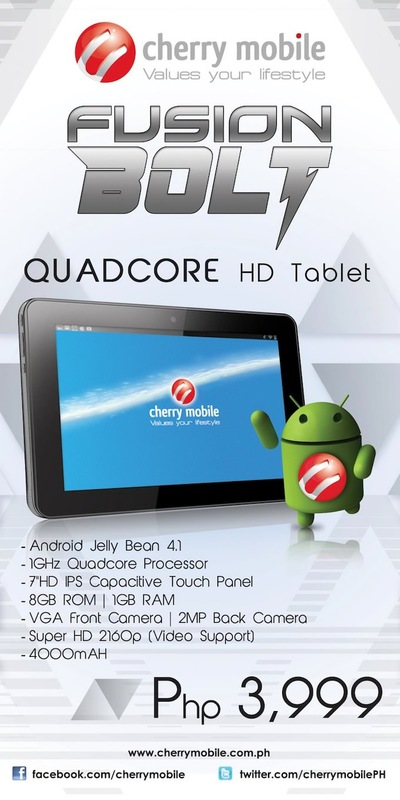 Since CM Fusion Bolt is already pre-rooted all we have to do is to install a third party app to make it fully rooted, long story short, all you have to do is to download Superuser App [playstore link] and install it in your Cherry mobile Fusion Bolt QuadCore 7-inch Tablet. Its just an easy trick to root your device. But then again: "DO AT YOUR OWN RISK"
It will unlock all the security features of your android tablet. Ability to install custom roms. A chance to brick your device if not done correctly. Its just a mix of advantage and disadvantage in rooting your android device, but in my personal opinion rooting your android device is much cooler, infinite tweaking probabilities, and much more.